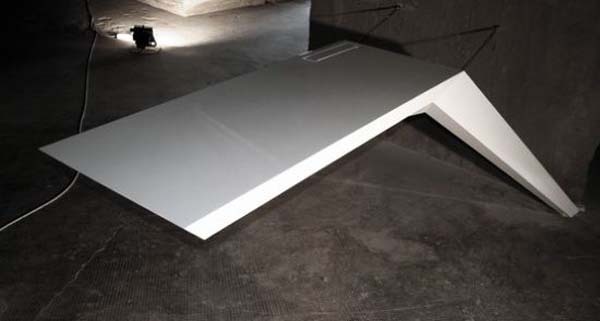 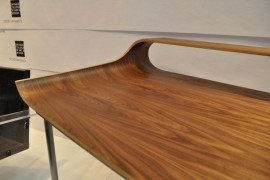 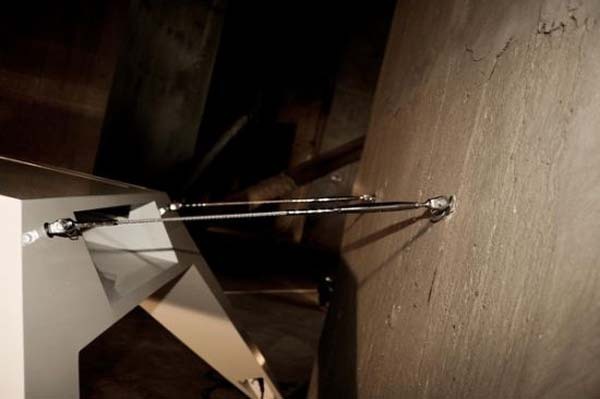 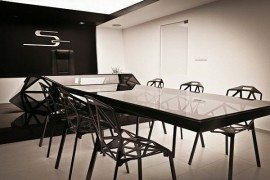 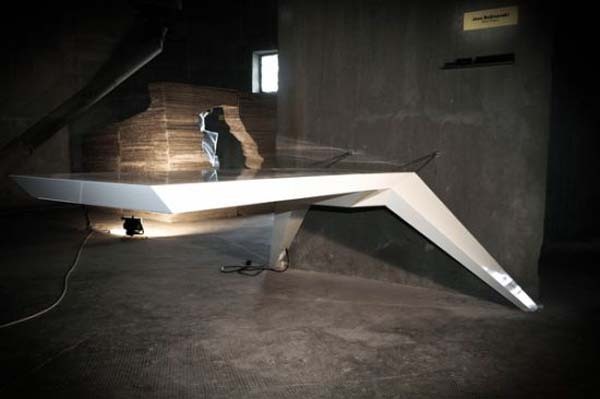 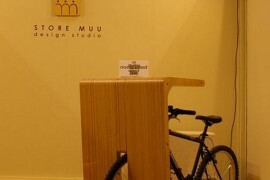 Desk E.L.A was created to offer a contemporary surface for an office or a living area. 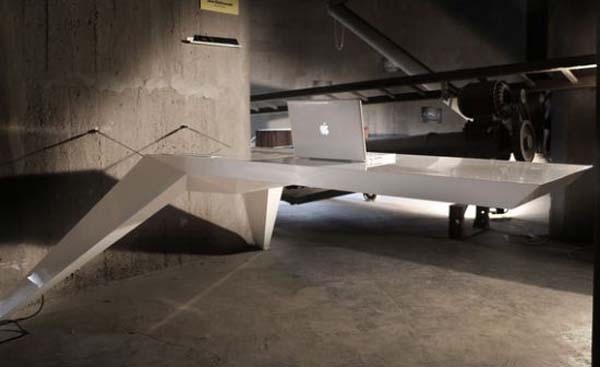 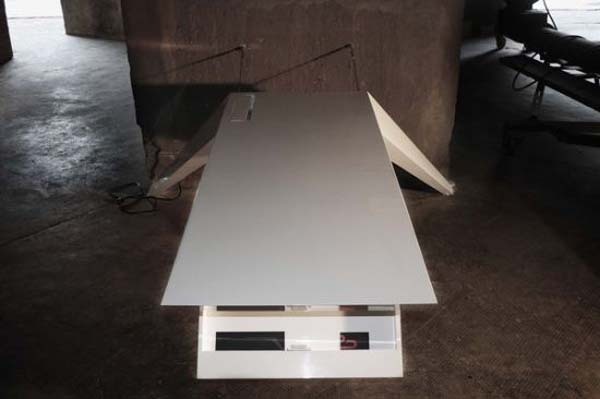 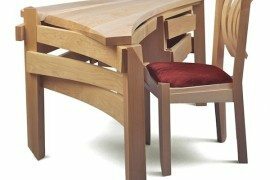 Beautifully shaped, this desk seems to be levitating, but it is a sturdy piece of furniture that you can trust with your laptop. 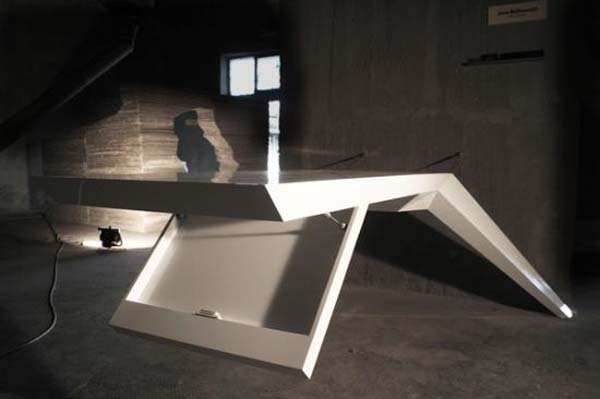 Designed by Jovo Bozhinovski, the desk finds its equilibrium on two legs while two steel cables insure its stability and gives it an industrial feel. 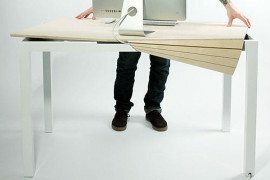 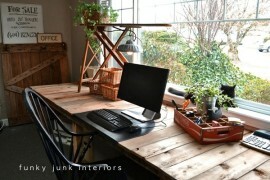 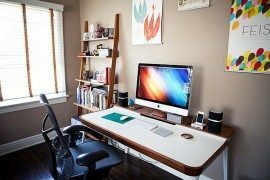 The two legs neatly hide network cables, phone cables and USB ports, making the desk clutter free and obviously modern. 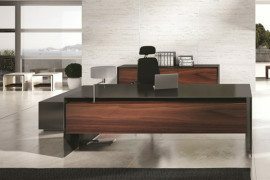 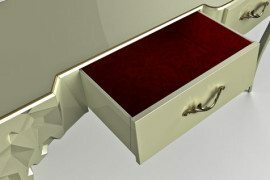 A drawer underneath hides away all the remaining papers, files and folders so that you desk can look beautiful and stick to its purpose – a clearly modern design with futuristic lines that is both aesthetically pleasant and useful.